Well, this ain't good. 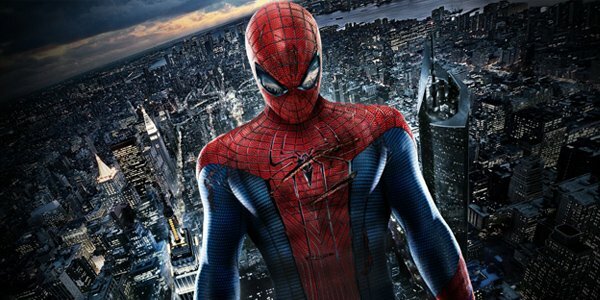 This past weekend, The Amazing Spider-Man 2 opened to a tidy $92 million. Those are monstrous numbers, sure, only a whisker below Captain America: The Winter Soldier for the year's biggest opening. And overseas, the numbers are robust, a possible threat to $500 million if the pace continues, and anytime your film can approach half-a-billion outside of America, it's impressive. But a closer look reveals that Sony has trotted Spider-Man out five times thus far, and these last two films show a downtrend. The $92 million take severely trails not only the monster opening of 2007's Spider-Man 3 but even the $115 million scored by Sam Raimi's non-3D Spider-Man on the same weekend twelve years ago. The Amazing Spider-Man was the lowest grossing film of the series, and this next one might perform even weaker, despite the boost received from the biggest box office weekend of the year. Sony's got four more prospective blockbusters coming down the pike, four more movies with Spidey that can make half-a-billion worldwide each, at least. But it's suggested that Amazing Spider-Man 2 cost $250 million, with an additional $180 million spent on marketing. If those numbers are accurate, then the new film would have to gross in the neighborhood of $800 million worldwide to generate theatrical profit. Fortunately, while it will probably fall short of that benchmark, the film will ultimately register solid numbers in ancillary markets, like TV deals and merchandising. So smart business says that there's still plenty of life in Spider-Man. It's worth noting that the original plan for The Amazing Spider-Man was to make a much smaller, more intimate picture that would cost far less than the mega-budget Sam Raimi films. There's no reason they still can't try that: there are sets and animatics already designed from these previous Spidey films, and a bit of added fiscal responsibility can get the budget underneath $200 million. If Amazing Spider-Man 2 cost, say, $180 million to produce (the usual budget for Marvel's films over at Disney) and something like $140 million to promote, then it would only need to approach $600 million to break-even, a number the movie should surpass soon. Yes, it's a bit implausible that future Spider-Man films could be that much cheaper than the recent entry, but Hollywood makes scads of blockbusters each year at a more responsible cost. Heck, Michael Bay has brought each apocalyptic Transformers movie in underneath $200 million thus far, and it seems far more complicated to put the Autobots onscreen than it does a skinny guy in full-bodied pajamas swinging around the city. With no real above-the-line talent aboard these films (compared to Tobey Maguire and Kirsten Dunst, who negotiated for top dollar in the earlier films), having these pictures cost so much is downright irresponsible. This enterprise can continue with a little less money and a little bit more ingenuity. While the next two Spidey films have release dates, The Sinister Six and Venom do not. 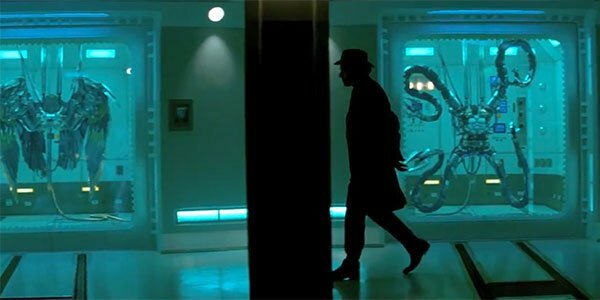 But rumors circulated that Sinister Six would possibly head into production this January, making the film a contender for the 2016 release slate. Would it come before or after The Amazing Spider-Man 3? Why doesn't it just replace that film? With the diminishing returns, bringing the wall-crawler back with The Amazing Spider-Man 3 isn't going to result in any added enthusiasm from audiences unless you ante up. In this universe, there are only a couple of ways to do that, and one of them involves multiple villains. We've seen Spider-Man fight a bunch of bad guys, but has he fought them at once? The question of whether Spider-Man would actually show up in The Sinister Six has been a major one, but with Andrew Garfield talking about stepping down, the time to pit his Spidey against this team of villains is now. Of course, Sinister Six already has a director, Drew Goddard. And Amazing Spider-Man 3 has a director, and it's Marc Webb, right? Right...? Webb's position with this franchise is tenuous, given that he just directed two of the lowest grossing Spidey films thus far. If you ask every studio in the industry whether they'd like to have the next Webb movie or the next Goddard directorial effort, they'd ask for the latter ten times out of ten. In interviews, Webb has seemed very much out of the loop regarding a film that has a release date only two years away, telling us, "I think [Amazing Spider-Man 3] will come next. Yeah. We're not 100% sure of exactly that situation, but ... I don't even know what the slated dates are, but I'm assuming Spider-Man 3 is next." The Amazing Spider-Man 2 has several teases for the Sinister Six, to the point where we've got to see them now or it's just going to seem cruel. But to thrust them into their own movie independent of Spidey seems premature. After all, they would be led by Dane DeHaan's Green Goblin, the second, less-popular incarnation of a beloved character who had to wrestle for screen time in the latest film with both the core Peter-Gwen romance and the emergence of Electro. He and his hypothetical band of baddies are supporting players right now, not lead characters, and shoving one variation of the Sinister Six in the next Spidey means you can always use another, improved Sinister Six later with different characters: Spider-Man has the deepest villain bench outside of Batman. Sony's not going to stop making Spider-Man movies. That would be foolish, considering the massive profits the series generates beyond its theatrical life. But why not Google "franchise fatigue, Amazing Spider-Man 2" and see how many results you'd get from the last month. This last film was the fifth movie featuring the character in the last twelve years, which isn't of itself crazy. But each of these films have grossed less domestically than the last, which should tell you something: there was a massive demand to see Spidey on the big screen in the first place, and now that demand has been met. To continue spitting them out every two years suggests a serious overestimation of the public's love for this character. A movie every two years somewhat cheapens the appeal of the hero amongst anyone aside from his diehard fans. Incubation helps. Reboots don't always work, but with a globally-popular character like Spider-Man, you might need to manufacture the demand that no longer exists. Maybe Spidey needs to be put on ice for a couple of years. Warner Bros. still made some decent money with 1997's Batman And Robin, but the character needed to be freshened up in order to be relaunched with the billion dollar Dark Knight series eight years later. And withholding the cast from the original X-Men movies has created a demand sure to be met with X-Men: Days Of Future Past, results that wouldn't have greeted an immediate follow-up to X-Men: The Last Stand. No one at Sony wants to tell shareholders they just yanked two prospective blockbusters off the schedule from 2016 and 2018. But that's exactly what they did in 2010, when they canceled 2011's planned Spider-Man 4 in favor of Marc Webb's '12 relaunch. Still, the question they have to be asking at Sony is, does the villain-overdose angle seem like enough of a radical reinvention to reignite interest in this character? And if not, is there another fresh pitch we can pursue? The Spider universe is even bigger than Sony's plans: it includes characters like Miles Morales, the "Ultimate" Spider-Man, as well as Miguel O'Hara, the future web-slinger of Spider-Man 2099. Maybe Peter Parker can sit on the sidelines and give someone else a chance, so that people actually demand his return. Option 4: Hey Fox, Call Me Maybe? Now we're getting into the longshots portion of the piece, because being a studio executive means thinking outside the box. Viewers who saw The Amazing Spider-Man 2 this weekend were treated to a post-credits sequence from X-Men: Days Of Future Past. This moment was brought to you by Fox, who own Fantastic Four and X-Men, two superteams that have collaborated many times with Spidey in the comics, to the point where it's no longer an event when they cross paths. There were very specific and mundane reasons why this scene popped up at the end of a Spider-Man movie, but for those who were unaware, it likely sparked more false hope that these characters might collaborate onscreen. The very notion of an X-Men scene being stapled to the end of a Spider-Man film definitely shows that relations between the studios are cordial, and that they don't mind using one superhero film to promote another at a rival company. The very next step is to just cut the middle man out and have these beloved characters meet. Fox's characters are all booked up for the next few years: they're slated to appear in six more movies over the next five years, including a 2018 mystery project that remains unannounced. And with Days Of Future Past tracking well, they likely don't need Spidey hanging around. 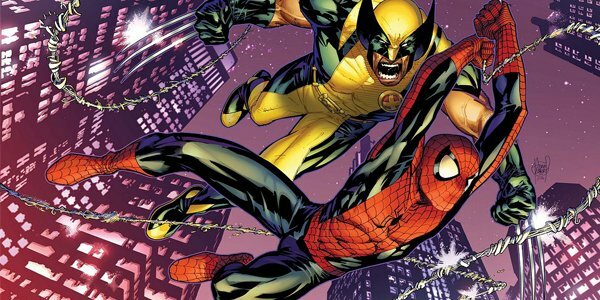 But Spidey could sure use the boost from a cameo-ing Wolverine, or a brief collaboration with the new, relatively anonymous Fantastic Four. Spidey's next adventure is theoretically two years away: it's not too late to write another hero into the action and form an unprecedented agreement between two massive studios. When Disney purchased Marvel, the company carried a $4.24 billion pricetag. 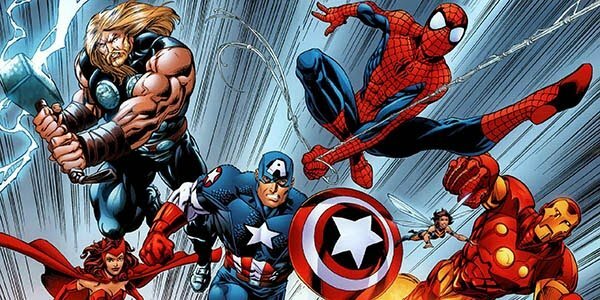 In addition to full use of Marvel properties and characters, the price included the exclusive cinematic rights to every Marvel hero and villain outside of the Spider-Man, X-Men and Fantastic Four universe. Since then, fans have spitballed about what it would take to secure those Spider-Man rights from Sony, who as of now have zero interest in selling them off. 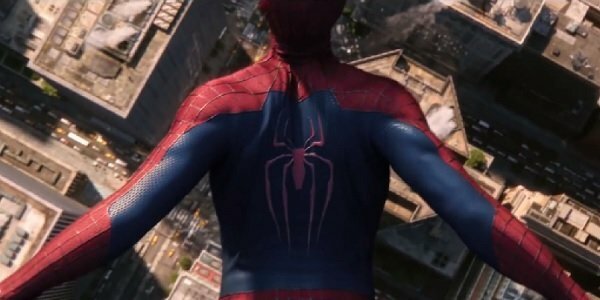 It's not clear what the specifics of the arrangement might be, but if Sony stops making Spider-Man movies for a certain period of time, those rights will revert back to Marvel: you'll recall this has already occurred with Fox's Daredevil, Universal's Hulk, New Line Cinema's Blade, Lionsgate's Punisher and Sony's Ghost Rider. In other words, whatever these rules are, they're pretty ruthless. Of course, Sony knows the reality of this situation: if they keep making super-expensive Spider-Man movies with dwindling support from the fans, they will begin to lose money, and Spidey will become an albatross. And if they push ahead and keep making these films with lower and lower budgets, they'll be in the same boat with Roger Corman, who scrambled to keep The Fantastic Four back in the early nineties by making a majorly-discounted adaptation simply to keep the expiring rights, despite no intentions of ever releasing it. Obviously that's not an exact comparison, given the viability of Spider-Man onscreen. Maybe a better one is Sony narrowly beating the deadline in making the much-cheaper sequel Ghost Rider: Spirit Of Vengeance before they had to surrender the character to Marvel. Ultimately, the film did so poorly that Sony relinquished the rights shortly after. Sony is not going to just let Spider-Man fall in the hands of Disney outright. But Disney is flush with cash in the wake of their Marvel successes and the eventual scores of upcoming Pixar and Lucasfilms offerings. So how much would it really take to secure the Spider-Man universe? Let's say Sony offered Disney the Spider-Man franchise straight up, which would include rights to the previous films as well as the ongoing cinematic universe. How much would Disney pay? The Spider-Man movies have so far grossed close to $3.5 billion in theaters, which doesn't take into account the various merchandising and home entertainment profits. Could the Spider-Man package cost even more than the entire Marvel Studios? Should Sony possibly try to find out? Perhaps the folks at Sony would be fools to not think about what dollar figure Disney is willing to consider.